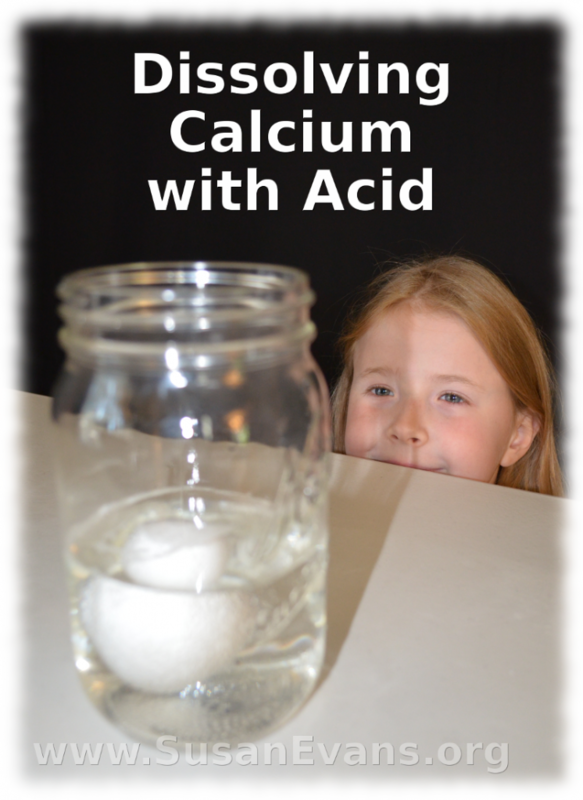 Today we will be doing an experiment where we are dissolving calcium with acid. 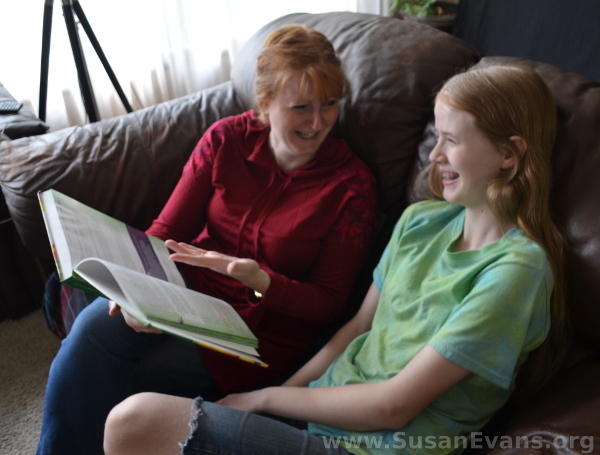 We are using Christian Kids Explore Chemistry by Bright Ideas Press to study elementary-level chemistry. 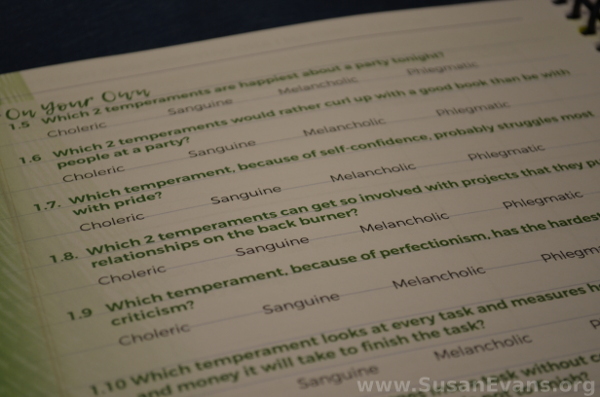 This is one of the fun hands-on activities in the book. 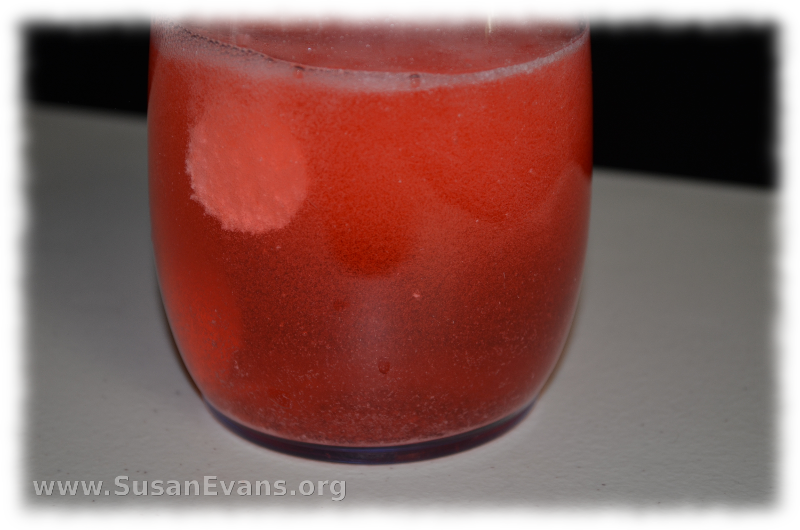 You will need a raw egg, vinegar, and a mason jar. Place the raw egg into the mason jar. Now pour vinegar over the egg until it is completely covered. You might want to put a little extra vinegar over it because the vinegar will evaporate somewhat. Now leave the jar alone for 24 hours. If you look at the egg as it sits in the water, you will notice small bubbles surrounding the egg. This is the acid from the vinegar eating away at the calcium carbonate that makes up the shell of the egg. After 24 hours, grab the egg gently in your hand. How does it feel? My daughter says it felt soft and squishy. The shell had been eaten away completely by the acid in the vinegar! 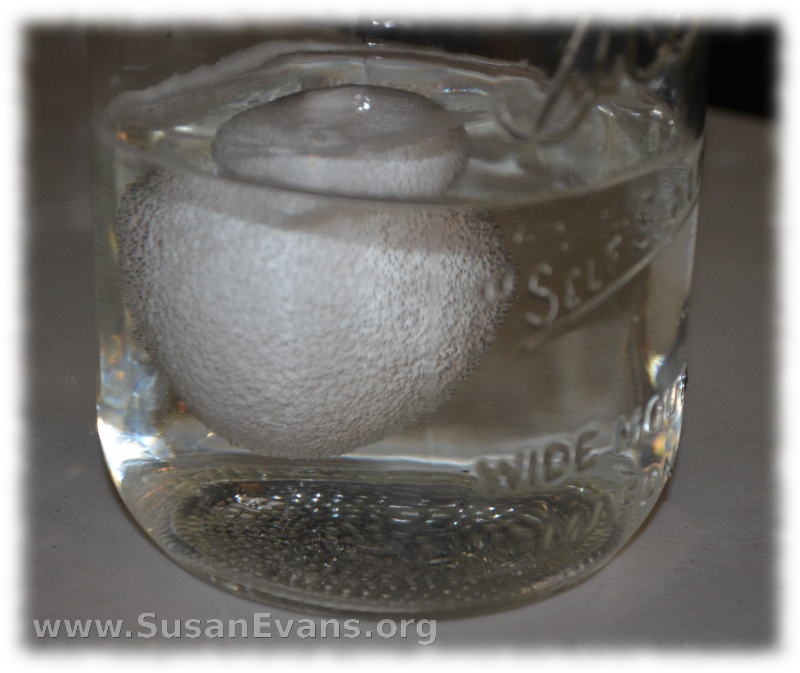 You will want to watch the video to see whether the egg in this condition will bounce or splat! 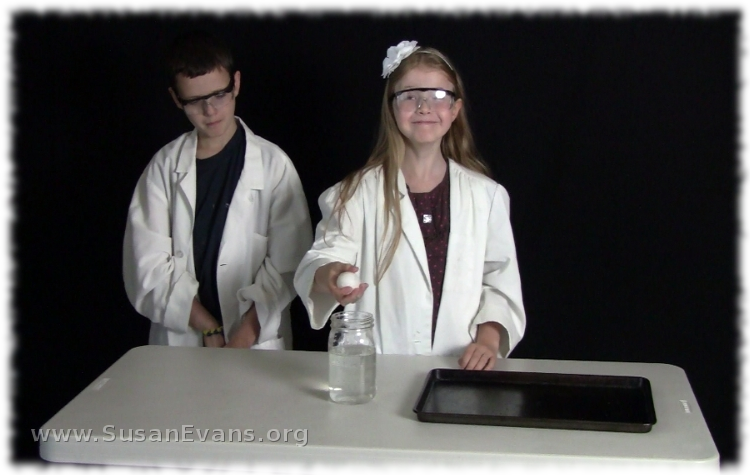 First I am going to explain what covalent bonds are, and then we will be breaking covalent bonds in a fun experiment. 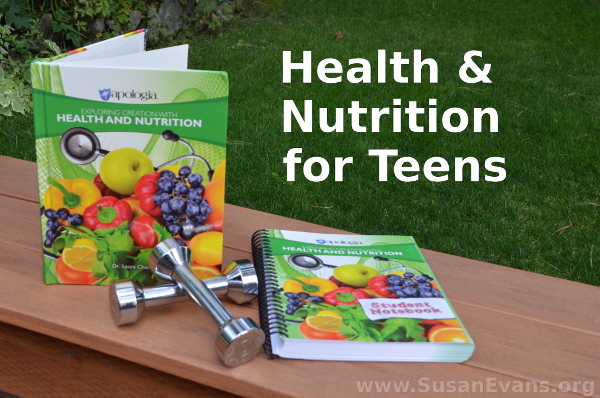 We are using Christian Kids Explore Chemistry by Bright Ideas Press to learn about ionic and covalent bonds. I explain the difference between these two bonds in the video at the bottom of this blog post. 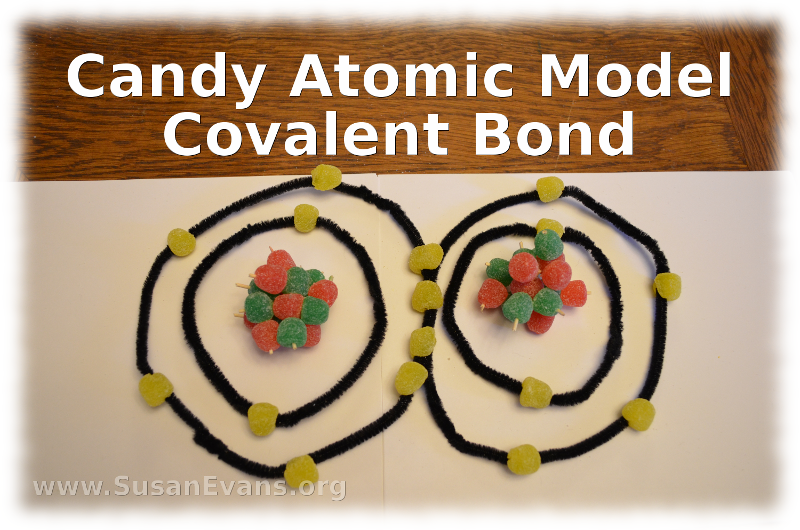 I use candy to explain the bonds. You can make the candy Oxygen atoms by attaching 6 green gumdrops and 6 red gumdrops to represent the protons and neutrons in each atom. You will need 6 yellow electron gumdrops as well. Attach them to the pipe-cleaner circles, which are made by twisting two pipe cleaners together. Now make sure that each Oxygen atom is sharing two of its electrons with the Oxygen next to it. You will see a total of two covalent bonds (4 electrons are being shared altogether, because each atom is sharing 2 electrons). Covalent means sharing. The atoms are sharing electrons. So how do we break this sharing? 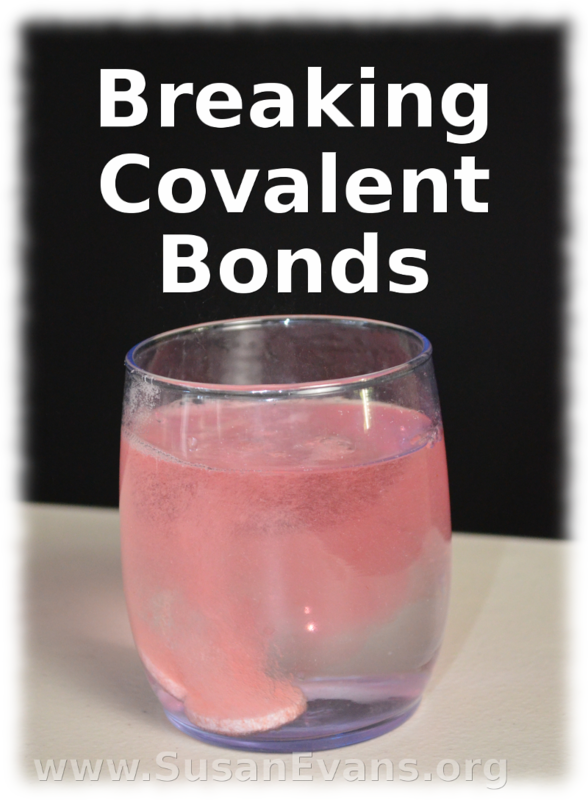 How to we break a covalent bond? 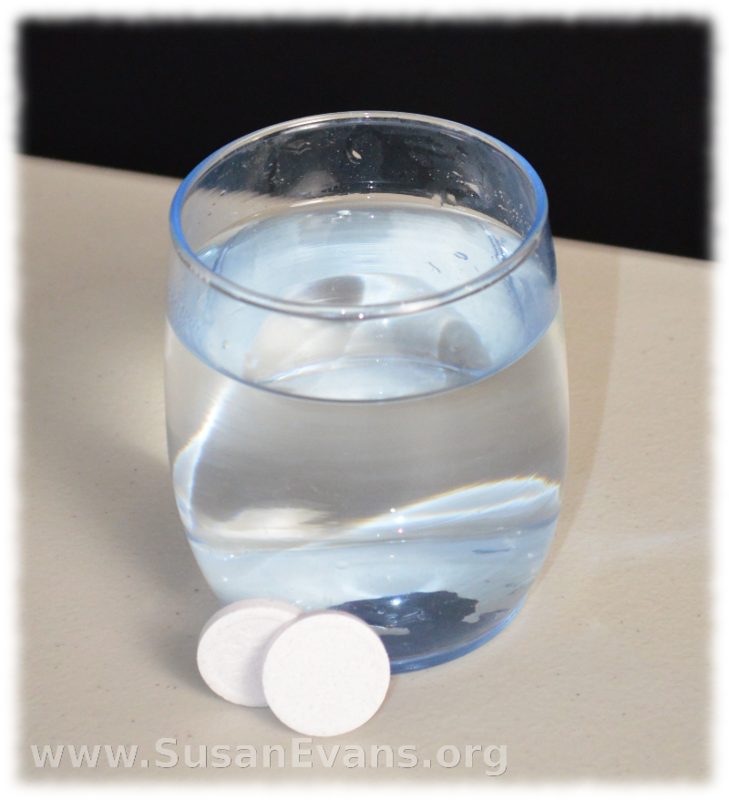 We can do this easily by plopping two Alka Seltzer tablets into a glass of water. The water causes the covalent bonds to be broken apart, and the result is that carbon dioxide is produced in the form of bubbles. My kids enjoyed building molecular models to understand the structure of molecules in chemistry. 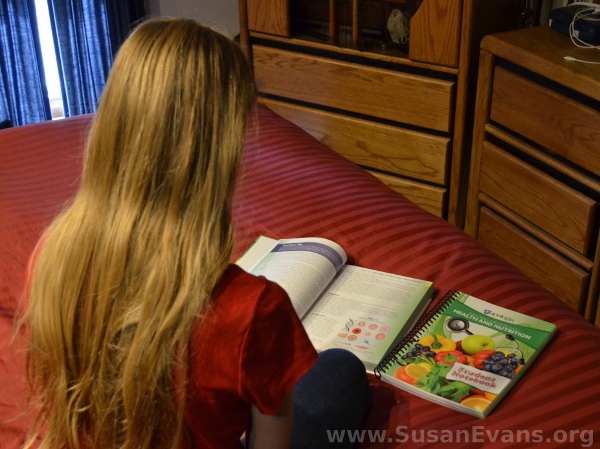 We have been using Christian Kids Explore Chemistry by Bright Ideas Press to study elementary-level chemistry, and this is one of the hands-on activities in the book. First you will want to purchase some styrofoam balls. These are available at craft supply stores. You will also need toothpicks and acrylic paint in various colors. If you want to label the atoms in the molecule, you can use a black marker, but we preferred to use alphabet stickers. Because of the texture of the styrofoam, it’s difficult to write on the styrofoam. If you’re using stickers, choose a contrasting color for the letters. I had some red stickers, but they would not have been visible on the red Hydrogen atoms. Now go ahead and stab each of two small red styrofoam balls into a larger blue styrofoam ball using a toothpick. It’s easier to label the atoms with stickers after you have stabbed them with the toothpicks, because you will know where the front of the molecule is. The larger blue ball is an Oxygen atom, and the smaller two balls are Hydrogen atoms. This is a water molecule, in case you didn’t know. Another molecular model you can make is an Oxygen molecule. This molecule is composed of two Oxygen atoms with a double covalent bond. This means the two atoms are sharing a total of 4 electrons, because each covalent bond shares an electron with the Oxygen atom next to it. My daughter is holding up this Oxygen molecule. You can see that the two toothpicks are stabbed into the balls parallel to each other. You can continue building molecular models. If you have bazillions of painted styrofoam balls, you can look up different common molecules and try to produce a model of them. 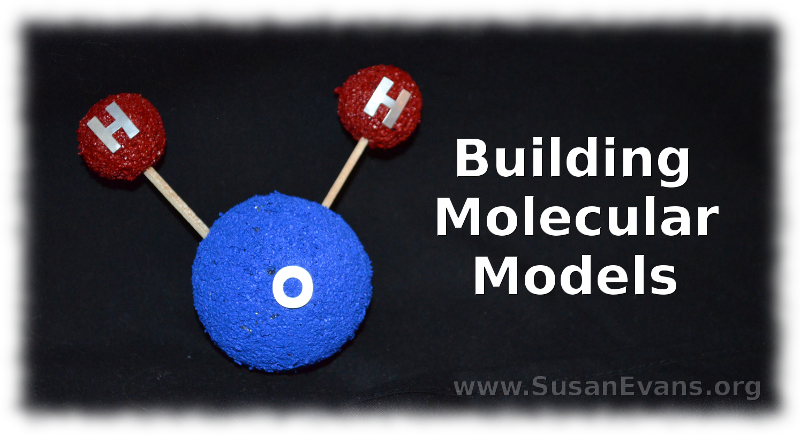 In the following video, we show you how to make these simple molecular models. 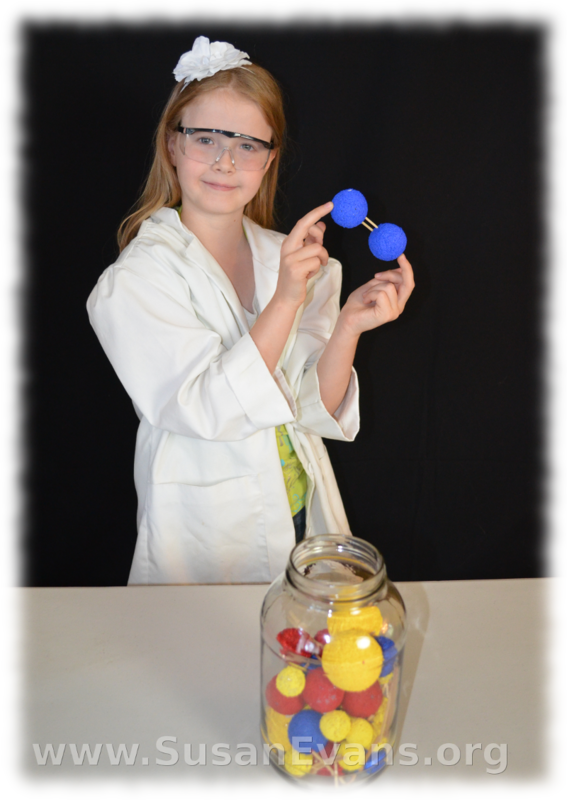 We also show you how our sugar molecule turned out!